I didn’t used to see the appeal of pigs as pets. I liked them well enough, but didn’t see how Fern could become obsessed with Wilbur in Charlotte’s Web. 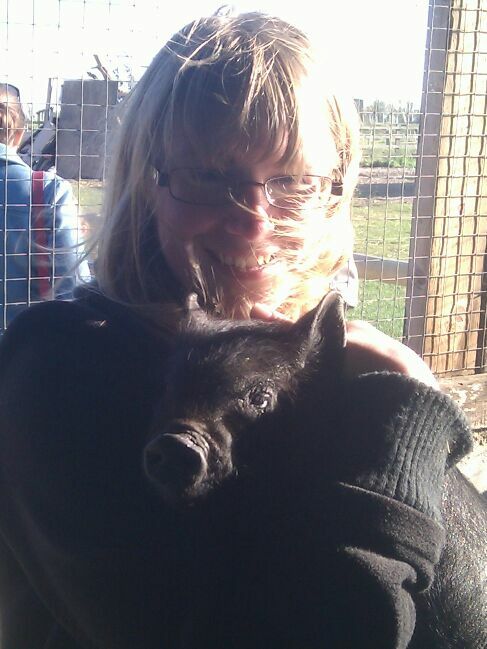 I am now converted to the joys of pigs and need to get a small holding so I can keep one or two like this as pets. No one is making bacon out of my piglet. This entry was posted in Direct Speech and tagged books, pets on October 23, 2011 by Siobhan. My laptop is on its last legs. Tech support (boyfriend) has been consulted, looked bemused and said I need to get a new one. Annoyingly now is not the best time to get a new one with tech support’s company “restructuring” so I am attempting to prolong the inevitable by moving all my documents onto an external hard drive, uninstalling stray programs and defragmenting the little beast. No, I know, it’s probably in vain. Meh. Computers annoy me. Depending on the success levels of this enterprise I should be back with some reviews this week… cross your fingers please! This entry was posted in Direct Speech and tagged technology on October 17, 2011 by Siobhan. Teddy Everett, heir to Everett and Sons coffee, knows a good cup when he tastes one. But it’s impossible to get a good cup of coffee when you’re lying in a prison hospital dying of cancer, so instead he tells his coffee story. A story he should have told a long time ago. A story peopled with capitalists, communists, revolutionaries and fantasists. The story of his first wife, who ran off with a Cuban revolutionary; of Moira, his second wife, whose name meant destiny; and of Lucy Alfarez, the love of his life, who walked out of the jungle aged fourteen with a silver lighter in one hand and coffee bean in the other. In the fragmented narrative of a dying man we are told a story about his legacy, a story about treachery and about his dreams haunted by the need for absolution. I’ve never drunk a cup of coffee. The strong, bitter smell has always put me off. 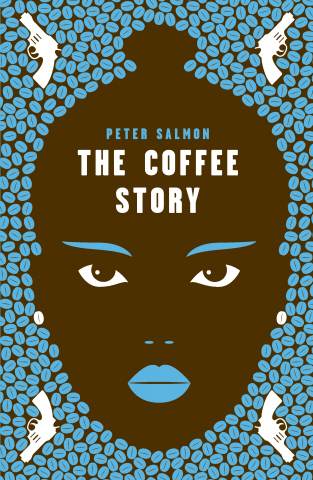 But reading Peter Salmon’s The Coffee Story I was almost tempted to try a cup. The descriptions of the oily blackness are so sensuous, but this isn’t just a novel with exotic and evocative description, it’s a novel with grit, bite and sharp, sinister twists. Skilfully written with a wry disjointed narrative that convinces you that this is the disaffected deathbed confession of a man who has seen too much, The Coffee Story is a dark and sophisticated debut novel from Australian writer Peter Salmon. So, can anyone recommend a place to find a good starter coffee in Oxford? I may yet be converted. This entry was posted in Book Reviews and tagged books, coffee on October 6, 2011 by Siobhan. Operation get fit and healthy started today with me joining my fitness freak boyfriend for a run around the park. Like a caucus race, no-one won and I nearly tripped over my next door neighbour’s dog but I didn’t collapse so that’s as good as winning in my book. The running is because I’m going into hospital for an operation on November 3rd and need to get as fit as possible for a quick recovery. I have to stay in for a fortnight so am liable to go mad with boredom. This is why I need your suggestions: I need the mother of all reading lists to keep me totally distracted from the fact that I am stuck in bed for 14 days. I’ll try almost anything unless it has paranoia inducing hospital scenes- I made the mistake of watching a House box set when I was sick with ‘flu once… never again! Can anyone recommend some good books to take with me? This entry was posted in Direct Speech and tagged books, health on October 3, 2011 by Siobhan. Whisper it, but I had never bought or read a Salman Rushdie novel until very recently. Fortunately, having filled up my loyalty card at my favourite bookshop, I was entitled to £7 off a book and had a quick scout around the shelves for something exciting. I’m a sucker for a pretty cover, so that (coupled with the fact that I’ve always meant to get around to reading Midnight’s Children and The Satanic Verses) made the book my gratis book of choice. I’m so glad that I picked it up. A clever pastiche of the oral tradition of storytelling and packed with historical characters, this book is a beautiful bedtime story for adults. Richly exotic and evocative, Rushdie adopts many storytelling conventions which have sadly fallen out of favour in adult fiction and uses these folkloric devices to create something exciting and wonderfully grown up- with plenty of clever nods to the need for storytellers to flatter their audience. This book is a jewel. When the emperor learned the truth he understood all over again how daring a sorcerer he had encountered on that long-ago morning after the dream of the crow. By then, however, the knowledge was of no use to him, except to remind him of what he should never have forgotten, that witchcraft requires no potions, familiar spirits or magic wands. Language on a silvered tongue affords enchantment enough. See? Genius. What are you waiting for? Get out, buy it, read it to friends, memorize lines and share them with strangers on the bus. This entry was posted in Book Reviews and tagged books, History on October 2, 2011 by Siobhan.